This piece was published by The Conversation on 06 May 2014 as part of the series Australia 2025: Smart Science. It can also be read on The Conversation or downloaded as a pdf (2461kb). AUSTRALIA 2025: How will science address the challenges of the future? In collaboration with Australia’s chief scientist Ian Chubb, we’re asking how each science discipline will contribute to Australia now and in the future. Written by luminaries and accompanied by two expert commentaries to ensure a broader perspective, these articles run fortnightly and focus on each of the major scientific areas. In this instalment we peer into the depths of astronomy. Every decade, Australian astronomers get together to create a plan for our community. This is an exercise we are currently undertaking for release in 2015. Here I look at how astronomy will help Australia fulfil its aspirations towards a strong, prosperous and secure future, through a fictionalised executive summary of astronomy’s 2025 Decadal Plan. 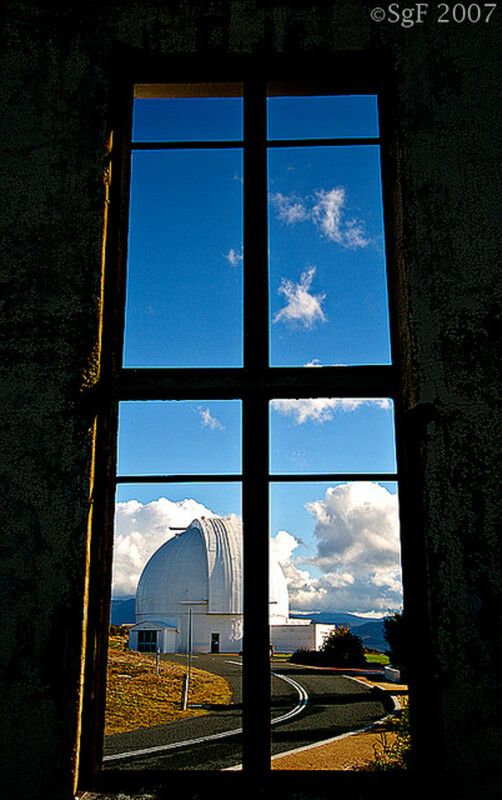 The past decade (2015-2024) has been one that has seen Australian astronomy take the lead on the world stage through the government’s long-term strategy to sustainably invest in people, infrastructure and research. These investments in astronomy have led to an unprecedented surge in Australia’s role at making fundamental discoveries, at building industry clusters around the astronomy hubs and at turning the tide of participation in science, technology, engineering and mathematics (STEM) across the country. Through its long-term infrastructure program, Australia has been able to take a leading role in the international research infrastructure programs of the Square Kilometre Array (SKA), Giant Magellan Telescope and European Southern Observatory (ESO). 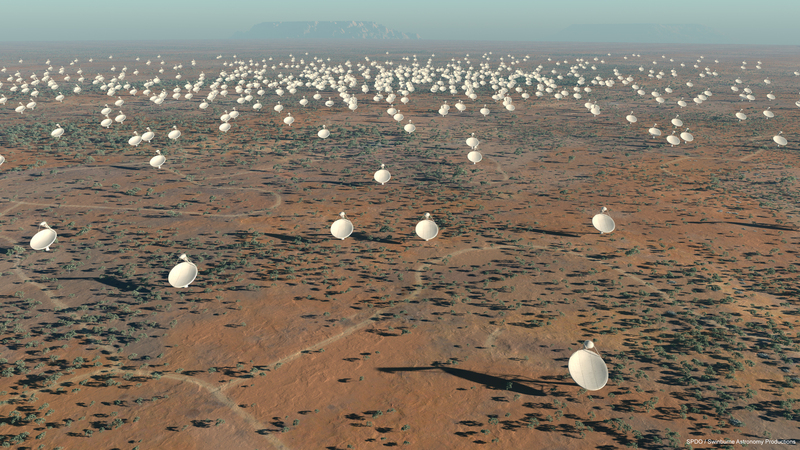 Through the pioneering work of our Pathfinder arrays in Murchison in Western Australia, the know-how to build the first phases of the Square Kilometre has translated into the commissioning of the SKA-Low array in 2022. This telescope’s observation of the Dark Ages of the universe – the time before stars – has shown when and how the luminous universe was born out of the ashes of the Big Bang. Future explorations, in concert with optical observations, will provide the photo album of the universe during its infancy. CSIRO’s proactive co-development with the US National Radio Astronomy Observatory (NRAO) of the technology for focal plane arrays had lead to a threefold decrease in the cost of the SKA-survey instrument. This partnership provided a novel way for the US to enter the SKA consortium and has enabled a much more powerful facility to be built on Australian soil than previously envisioned. This telescope is going through its final commissioning and will be surveying the cosmos at radio frequencies, providing a radio map of the universe starting in 2026. The developed technology has profound commercial applications and is being used in applications ranging from remote sensing to high-speed radio frequency communication. The other piece of SKA, based in Southern Africa, is nearing completion. Building on their seminal detection of gravitational waves using pulsars in 2018, Australian astronomers are leading the charge to mount the largest single project on the Southern Africa based SKA telescope – probing the Big Bang itself using gravitational waves detected using pulsars. An Australian CSIRO/industry consortium has been in charge of delivering the high-speed communication infrastructure for the Southern Africa SKA, a A$200 million contract that has catalysed Australia’s previous disparate efforts into a world-leading technology cluster based in Perth. This cluster includes CSIRO, three universities, several start-ups, four small and medium enterprises and two multinational companies. Already this cluster is responsible for the exporting of more than A$500 million worth of manufactured goods per annum. The Giant Magellan Telescope was completed in 2022, the first of the new generation of extremely large optical telescopes to come on line. Working with the James Webb Space Telescope, the Australian-built Giant Magellan Telescope Integral-Field Spectrograph (GMTIFS) instrument has directly observed some of the first stars of the universe – those created out of pristine hydrogen and helium left over from the Big Bang. These observations were directly used by the SKA-I to detect the universe’s Dark Ages and demonstrate the power of combining information across the electromagnetic spectrum. To optimally manage our long-term astronomical infrastructure requirements, Australia joined the ESO in 2016. This investment allowed Australia to integrate its current optical and radio facilities into the world’s most comprehensive suite of astronomical facilities. As a partner of ESO, Australia was selected to lead an international consortium of universities and industrial partners to build the Planetary Atmosphere Spectrograph – an A$90 million instrument to study the atmospheres of exoplanets. This instrument was deployed on the world’s largest telescope, the 39m E-ELT Telescope, in 2024. Australia’s access to this astronomical portfolio made possible the detection of oxygen in a nearby Earth-like planet’s atmosphere. The discovery was made possible by first using the Giant Magellan Telescope to screen a list of the closest candidate planets from the Transiting Exoplanet Survey Satellite (TESS), to confirm which systems contained an Earth-like planet within its star’s habitable zone (where water is liquid). These planets were then observed with the Planetary Atmosphere Spectrograph, which showed the presence of oxygen. This discovery was a watershed moment, not just for astronomy, but for humanity. Oxygen is the signature of life. The instrumentation efforts surrounding the Giant Magellan Telescope, ESO at the Australian Astronomical Observatory and at Mount Stromlo Observatory have led to a new cottage industry that produces unique space-qualified instrumentation. Already this grouping of industrial partners and research organisations has built seven satellites, four of which were for external clients. The most ambitious of the new satellites is set to deliver unprecedented imaging of the Australian continent on a daily basis, providing invaluable inputs for agriculture, fire prevention, water management and environmental control. This satellite is scheduled for launch in 2026. Since 2015, astronomy has made a concerted effort to address the gender imbalance within our field. This included programs across the nation to increase the participation of girls (and boys) in STEM studies as part of their secondary education. Strategies to encourage and retain women in undergraduate and graduate studies, and institution by institution action plans to plug the leaky pipe that has seen women leave academia in large numbers at each stage of career progression. While the past decade has not seen much growth in the number of astronomers, it has seen a huge change in our demographics. 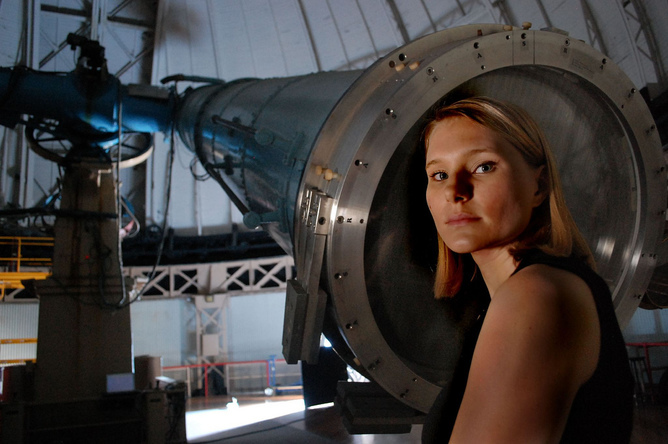 In 2025, we find that 44% of all permanent staff within astronomy are women, up from 23% in 2015. A full 50% of all undergraduate and PhD students are now female and we expect gender equality to be reached over the next five years. Astronomy’s proactive approach in this area is serving as a template for the nation’s research sector. It is the nature of fundamental research that it is almost impossible to predict the future. Over the coming decade though, due to the strong footing our discipline has been put on through long-term investments made in the 2015-2025 period, Australian astronomy is poised to continue its world-leading mix of discoveries, research training and technological breakthroughs, that will help to ensure that each generation of Australians is more prosperous than the last. The dark sky illuminated by a sickle moon, the brighter planets dancing across a sequence of familiar star patterns: who cannot be moved by the inherent beauty? The sky belongs to us all, at once a reminder that we are linked together on the planet and that we all have the same rights of access. Yet our astronomical telescopes reveal much more: the universe before life began, planets where life might be possible, vast collections of stars – some similar to those in our Milky Way and others more diverse; extreme objects that defy the imagination but not our physics and mathematics. These excite the imagination of our young people and encourage them to delve deeper into the natural world. Highly trained computer-literate scientists who can solve new and complex problems are a major output of our astronomical research training programs. Inspired by the science, our graduates ultimately contribute to a wide range of disciplines from bioinformatics through meteorology and climate change to economics and diverse statistical studies. The volatile nature of modern industry and government requires graduates trained in the fundamental skills, with the capacity to apply their knowledge creatively to multidisciplinary questions. 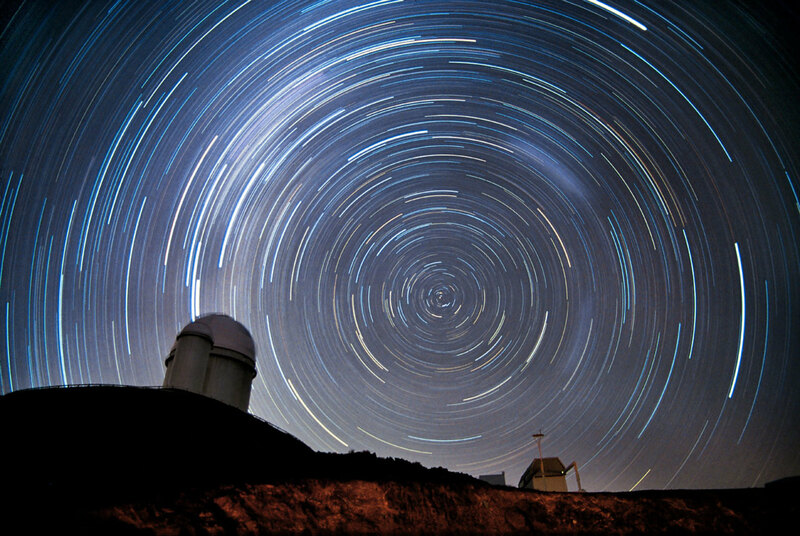 By capturing the interest of students at an early age and ensuring a highly trained and sophisticated workforce, astronomy’s impact reaches significantly beyond its discoveries about the nature of the universe. Technology drives innovation. When all you have is a hammer, every problem is a nail (as the saying goes). One role of pure research is to better equip our tool-kit. Astrophysics and other fundamental physics research may seem intangible, but thanks to their contributions our toolkit has the means to make computers, digital cameras, medical imaging and modern telecommunications. Profound discoveries such as electricity and quantum physics could not have been made by industry that needs short-term profit. True pivotal discoveries need long-term support by the society that wants to make them. While Australia aspires to be as competitive as possible we need as a community to invest in the pure research that will give Australian businesses cutting edge technologies that they can then harness to strengthen our economy. Astrophysics is in the business of long-term pivotal discoveries. Right now, for example, we’re investigating the discovery of dark energy, which seems to have anti-gravity properties. Imagine what we could achieve in transport and energy generation if we could learn to harness that! But even if we fail, our striving will have created new technology and inspired young minds towards science, all of which strengthens Australia. Meanwhile, understanding the size of the universe and our delicate place poised in this thin layer of atmosphere on a fragile planet, brings into perspective the insignificance of most of our problems and reminds us of how much we share with our neighbours around the globe. Earth is our only lifeboat and we need to take care of it together. Brian Schmidt is Chair of Astronomy Australia Limited, a not-for-profit company that manages Australian Astronomical Infrastructure. He receives funding from the Australian Research Council. Rachel Webster receives funding from the Australian Research Council. She is affiliated with the University of Melbourne. Tamara Davis receives funding from the Australian Research Council. 1. Artist impression of SKA dishes, Wikimedia Commons, CC BY-SA. 2. 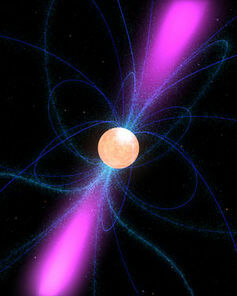 Artist’s impression of a pulsar, NASA, CC BY. 3. The ESO observatories and headquarters, ESO. 4. Mark Knobil/Flickr, CC BY-NC. 5. The stars rotate around the southern celestial pole during a night at ESO’s La Silla Observatory in northern Chile, ESO. 6. 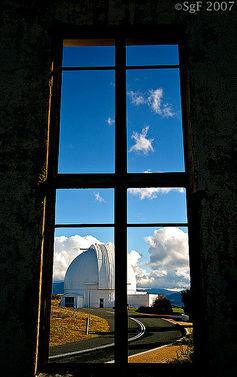 A new section of Mount Stromlo observatory, built after bushfires. Sacha Fernandez/Flickr, CC BY-NC-ND.